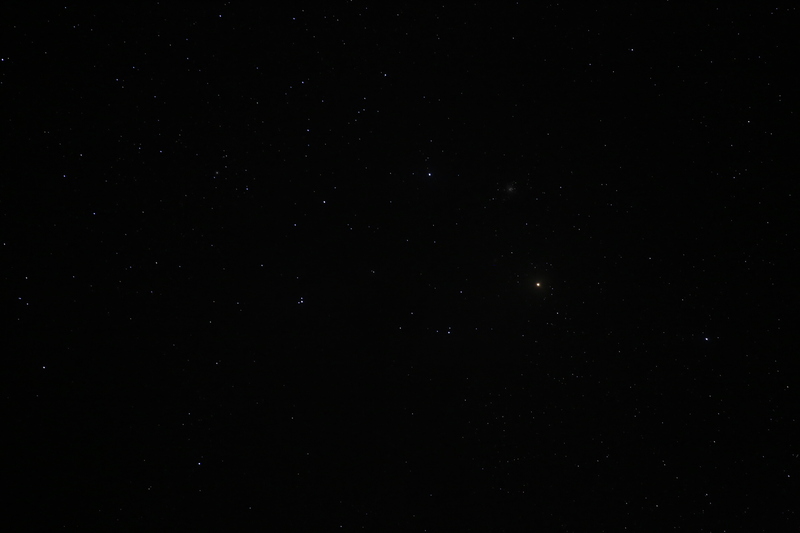 Trying some variations on what focal length for astrophotography. The different focal lengths can provide a variety of different compositions when imaging the Milky Way. You can expose longer – allowing in more light without evidence of star trailing (refer “rule of 500“). Exposing longer is also a benefit for landscape astrophotography, allowing greater foreground exposure. 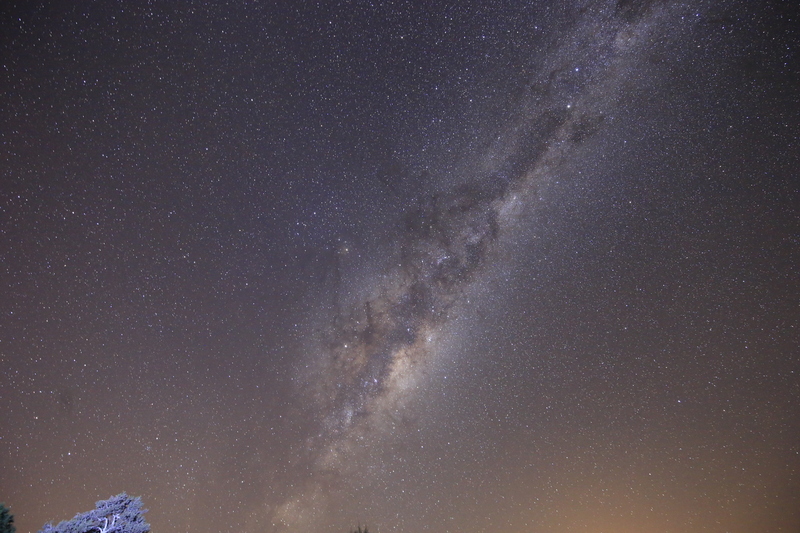 Composition – to capture as much of the Milky Way into the image as possible. I’m lazy – I love my panoramas, but I’m already stitching maybe 30 images each time. The amount of overlap is decent for the sky to ground. I also have a life and it typically takes me about 20-30 minutes to image each panorama. 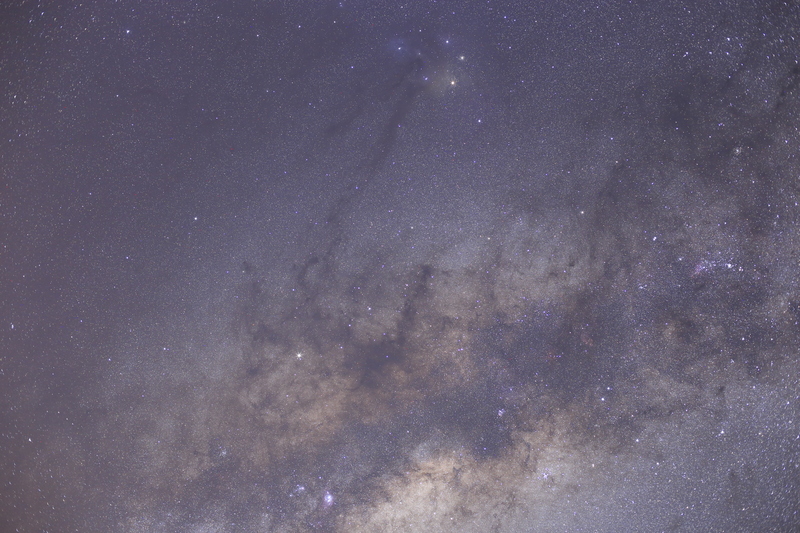 The size of the Milky Way in the frame – compression with foreground elements (e.g. a mountain … I’d like to have a mountain here – feeling very deprived). 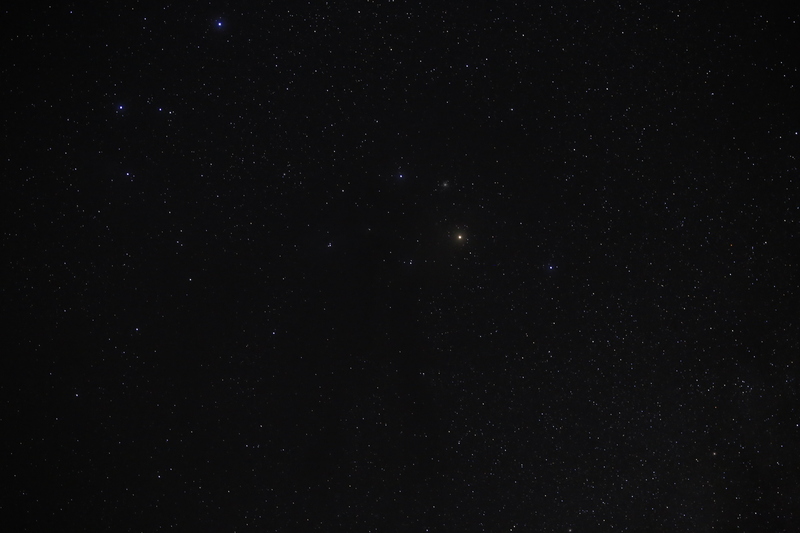 If properly exposed – increased detail in the Milky Way. Lenses and cameras still have a resolution that they image at. If you see the Milky Way Core at 50mm vs 15mm the difference in the amount of detail is astounding. However at longer focal lengths, you’re going to encounter the problem of having to use much higher ISOs, wider apertures (typically prime lenses), or tracking/stacking for some more detail. If you’re tracking/stacking, then that will often mean that you may need to consider blending the foreground (although arguably you can under-expose and use flash in the foreground instead). I think it’s important to try different things when you can; rather than just relying on “established formulas”. 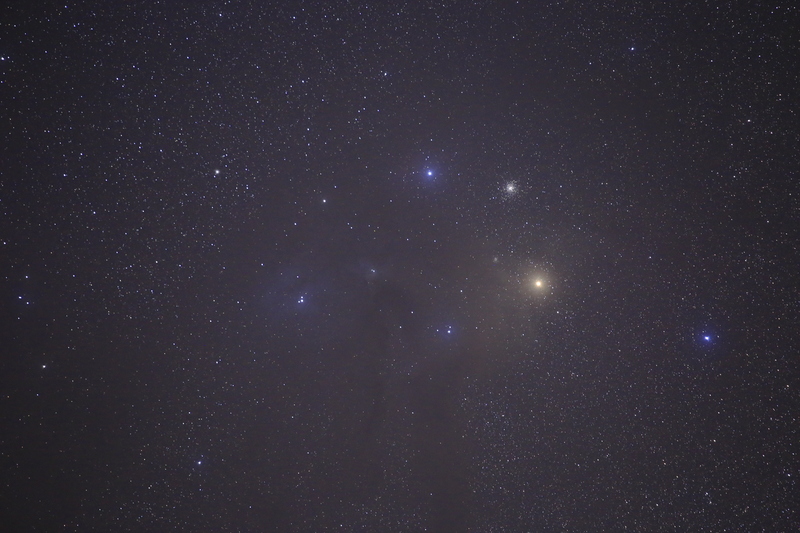 Doing this sort of test also helps me in working out if I want to invest in other prime lenses for focal length for astrophotography. 1 – shutter follows the rule of 500 (untracked). 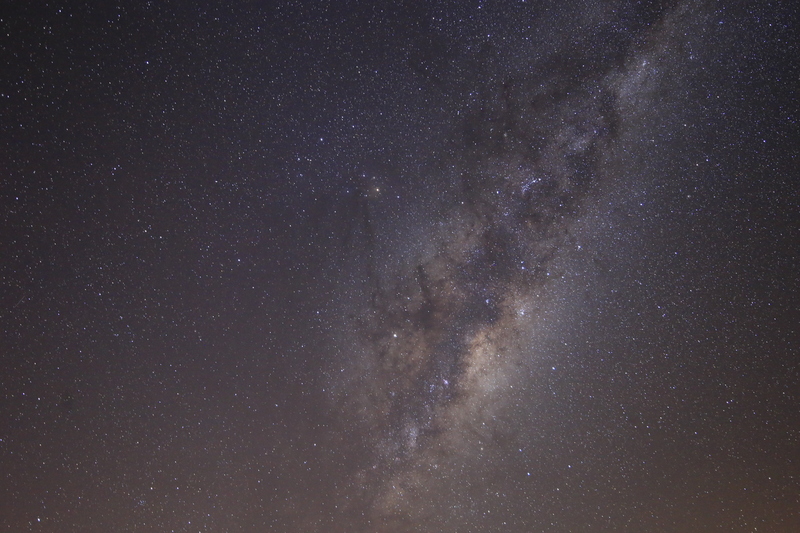 2 – 25s exposure tracked to get a reasonable amount of exposure to the Milky Way core. 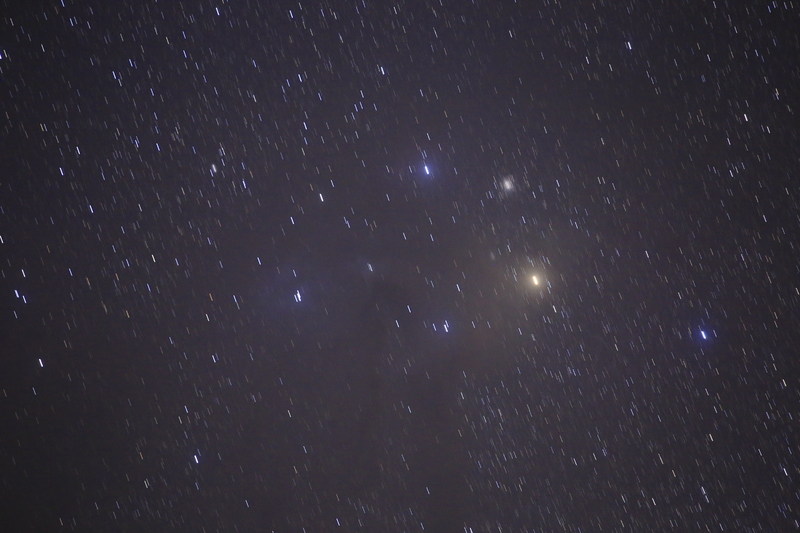 3 – 25s exposure untracked. This may show an amount of star trailing to get the same exposure. All exposures at colour temperature 4000, F3.2 unless otherwise noted. Going as wide as possible at 15mm (my widest lens) – this is the normal sort of image capture, trying to go wide to capture as much of the Milky Way as possible. 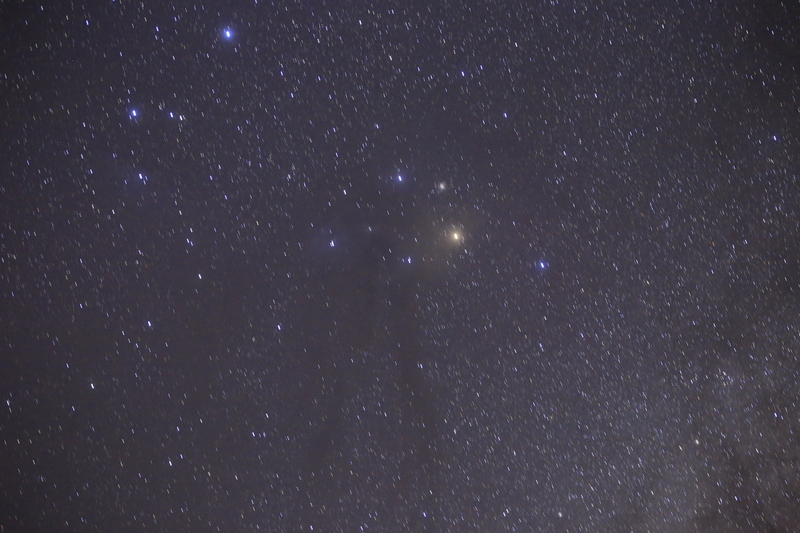 For this first example – I haven’t done the 25s untracked because the rule of 500 exposure is greater. 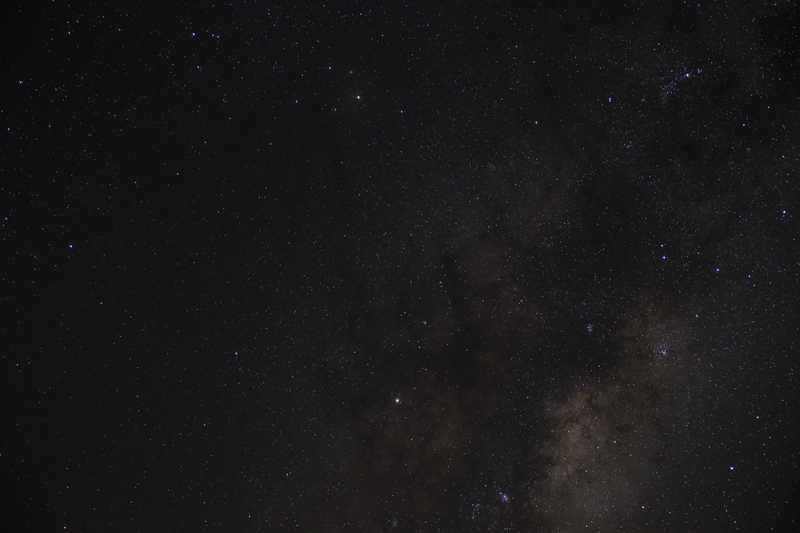 Looks like your normal ultrawide milky-way image. This next series of exposures is at 24mm. I note that there are lenses that are 24mm at F1.4 – so you could expose at a wider aperture. Another thing to consider though is the more pronounced coma with many lenses at F1.4. Arguably, you can shoot at a lower ISO for superior noise control. Jumping up a bit rather than going through all the intervening focal lengths – 50mm. This is because 50mm is more available as a prime lens at wider apertures, and this is where the differences start becoming more pronounced. 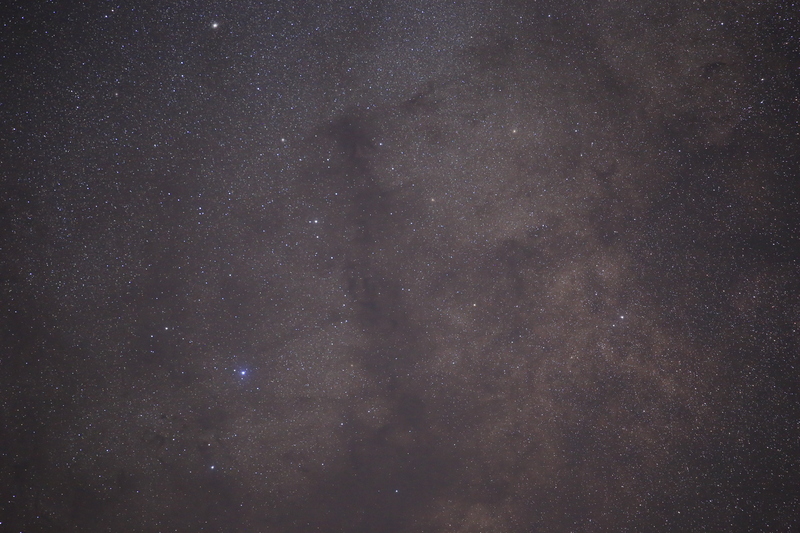 Using the rule of 500 – you get a 10s exposure, which is quite dark if you want to avoid star trailing. You can also consider how the foreground will be lit if using the same exposure settings. 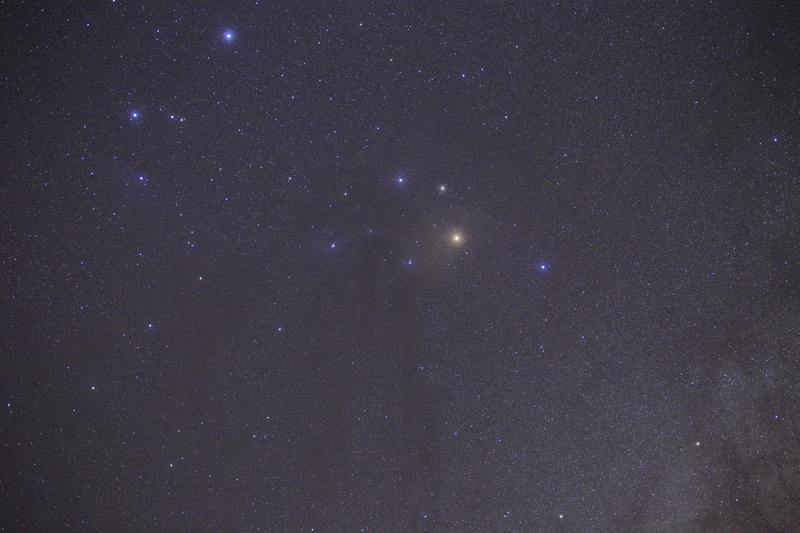 I’ve included a tracked longer exposure to show the greater detail that can be pulled out at this focal length. Shifting up a gear to 100mm – it gets much darker if you’re looking at doing a single frame; star trailing is also very pronounced using the same exposure. At 200mm – the rule of 500 is pretty dark. Before, I’ve been shooting this at ISOs of 25,600.